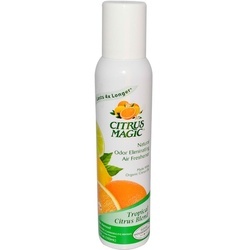 Citrus Magic 100% natural spray air fresheners eliminate even the toughest odors on contact. Made with pure, natural citrus oils and packaged in a non-aerosol container. Ideal for use in the home, office, car, or wherever tough odors may linger.